Application In conclusion, I think it will be like this. Of course it is far easier than high school entrance examinations, university entrance exams and entrance exams at various schools, but of course I think that it is totally gentle compared to something “service assistant” or “hot spring bath instructor” that I got I will. Flying approval is simple and easy compared with subsidies / subsidy applications! And, although it is not an exam, I think that hurdles are much lower than subsidies even for various applications. Regarding subsidies, I have been approved by applying for the Small Business Administration ‘s “founding grant”. There are memories that I tried hard as much as it gets sharp heads even now even hello. So please do not hesitate to have a flight time and skill above me, please challenge! I heard that …. Let’s take a closer look at how to handle it. Let’s take a look at the website of the Ministry of Land, Infrastructure and Transport Airlines. Please do not be surprised. Although reviewing, the application documents will be ⑴ ~. It looks so troublesome? No! “Wow ~ I am afraid, it seems so hard …” “I thought that it was impossible for amateurs (‘· ω ·`). Still, I will rethink and try to verify it individually with each one, or see the model solution (properly launched ~ haha), it turns out that it is not so difficult. Even if you attach the attached document separately to all the applications, it will only be 8 sheets. Let’s explain about the application body this time. ① of the application procedure document and it is the most important thing. First of all, please do not scurry. At first glance it seems to be difficult, but I am going to be the most crispy. I will write my own address, name, address. Electronic applications provided by the Ministry of Land, Infrastructure, Transport and Tourism will be fun, but do not trust electrons anyway In the beginning I will communicate by e-mail, so please do not mistake the address! And most of all, the enemy ‘s favor (laugh) is that a form is prepared for both the application form and the attached document,In principle it is good if you change it separately. Let the goal of the flight be “aerial shooting”. If you do survey elsewhere, you should do survey ■, it is good to report according to purpose for both coverage and security. Date and time of flight: Since it can be done from 3 months if it is a comprehensive application, you should write the number of days in 3 months. The route of flight: Do you know such a thing ~ it is ahead … (laugh), but you should write it exactly like the model answer. Transport and Tourism I applied separately to the Fukuoka airport office and applied for permission. I will sky over the area where people or houses are concentrated. It is probably the most used place in aerial photography. The reason is model answer, I think that I should refer to my wording. Perhaps it is better to pay within two lines so that the balance will not be lost. I will attach a ■ in light of the category in which I actually flew the training. Naturally I have never transported dangerous goods or throw property, so I am doing it. Again we will fill in the model name and serial number with reference to the model answer. I am applying for two types of aircraft at once. I will also write like this in the same way as the model answer. (‘ー `) So I think that the description is almost copyable. I will write “Aeronautical station standard manual” …… People who like to make themselves can make original ones, but I do not accept certification for government. I will write about insurance. I think that writing should be done according to the model answer. By interacting with several aviation bureaus, it was said that “I was able to write a person who was approved last time”, so I am writing an acquisition number. This time, it is only 2 applications in a narrow sense, I think that it was not so difficult. Somehow I feel something wrong with the wording of the government office, but it is only a matter of riding skillfully on their doors. As you already have enough career and knowledge, you just have to defeat it dignified! 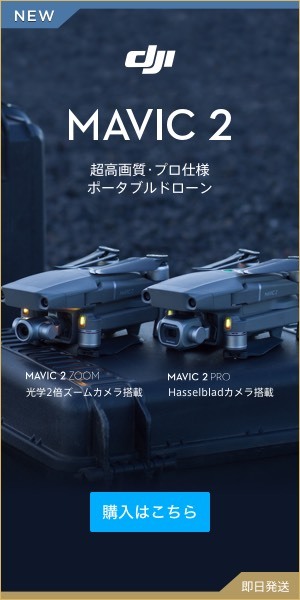 To Chiba’s first large outdoor airfield “HATA Dronefield Chiba”! I saw Mr. Todo, a professional pilot who took care of me when I started drone! Where do you fly drone after all? A thorough commentary on the aeronautical law and flight place that beginners tend to misunderstand!